Barska's GLX laser sights have a T6 aluminum body designed with a tactical picatinny rail to provide a strong, stable platform to mount accessories. The GLX also boasts a built-in weaver standard compact mount with a stabilizing cross bar insert for added support. The compact mount allows secure mounting to the shortest of rails on handguns and rifles. It has an on/off slide switch ideal for hand guns which can also be bypassed by adding the included cable pressure switch which screws into the back of the laser. 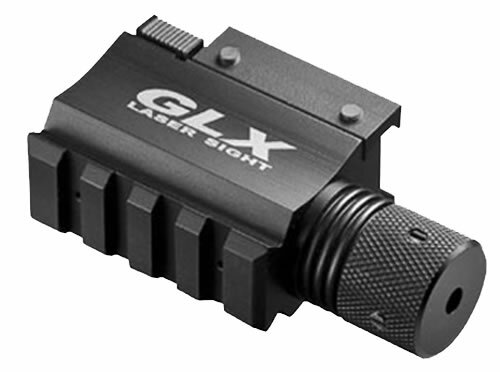 Using high impact-rated 5mW compact laser diodes, the GLX comes with a green or a red laser.